The only food I knew from Beijing was the Peking Duck. 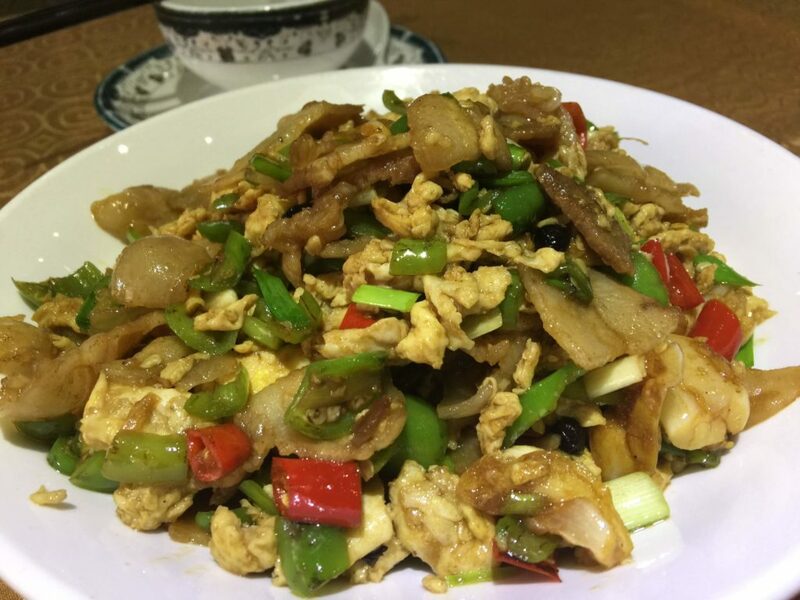 I’ve had this dish plenty of times in Singapore but I knew I had to try it again in Beijing. 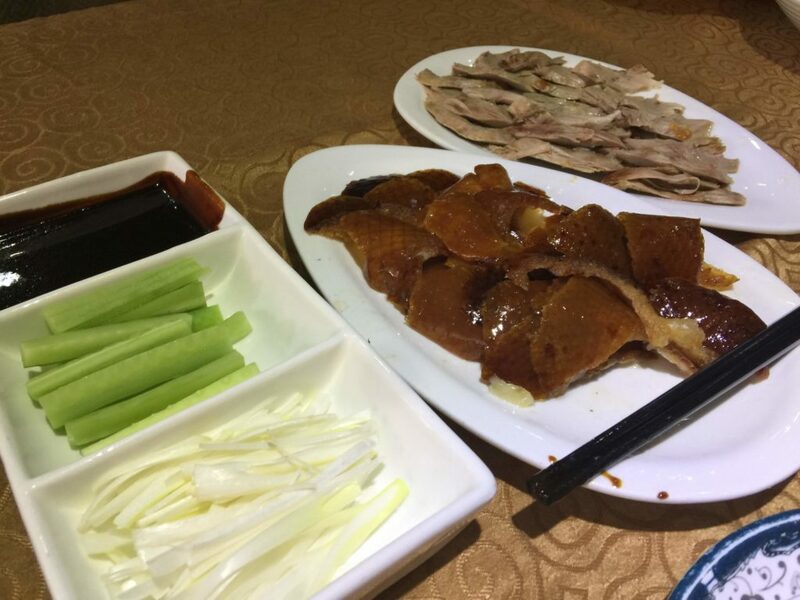 I knew Peking Duck can be pretty pricey depending on the place you go to, so I wanted to find one that was famous yet affordable. That’s when I found Deyuan Roast Duck (德缘烤鸭店). After a short struggle trying to see Tiananmen Square amidst the holidays, I walked for a good 30 minutes before finding this place. Even though it was only 11am, it was a full house and with a short wait list of 3 tables when I entered. While waiting you could see a table with two staff just cutting the duck up as well as a room where the roasted ducks were being hung. 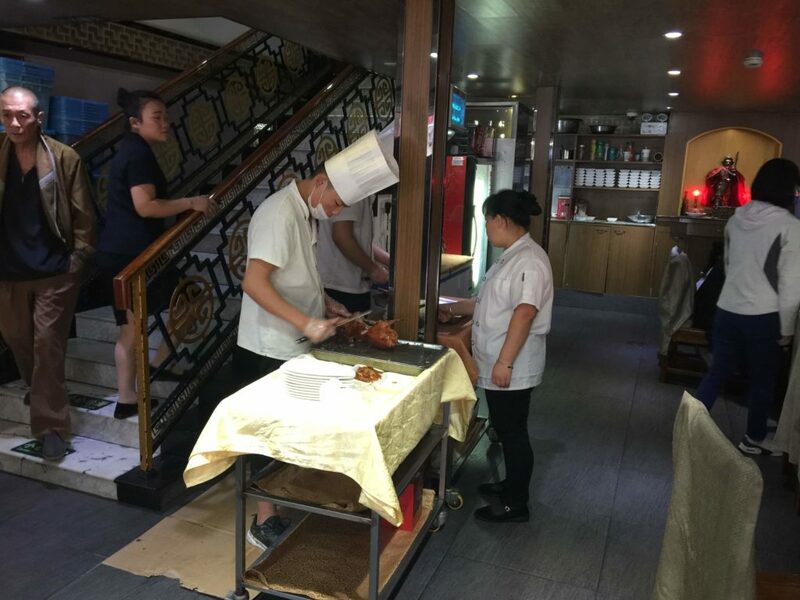 You could already tell that this place is famous for their roasted ducks, and also that every table had ordered the peking duck as far as I could see. 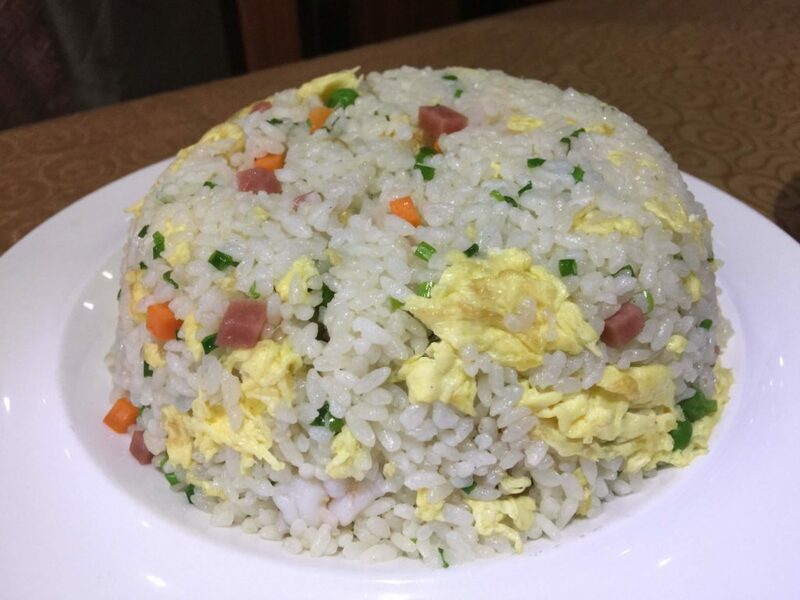 I ordered the duck (didn’t even had to think), fried rice and pork with eggs despite the waiter warning me that this was too much food. I ignore her advice and later found that it was a terrible mistake. Chinese restaurants are clearly not for the solo traveller. I ended up having to take out more than half of what I ordered. Want to access Google, Netflix, Facebook or Twitter in China? Check out my recommendation on the best VPN to use in China. The duck arrived fastest, since they were already constantly cutting them up. 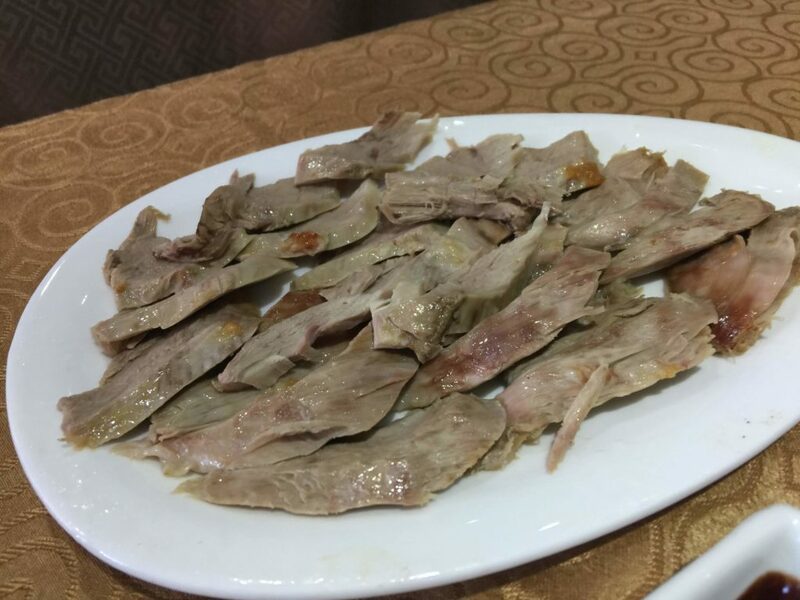 A whole duck was divided into plates, with the skin on one, lean meat on one and meat with fats on another. The combination of the dumpling skin, the meat or skin and cucumber, dipped in the sweet sauce is just a heavenly combination. I have new found respect for the person who came up with the peking duck. I couldn’t spare too much stomach space for the other two dishes because I simply could not stop eating the duck. The other dishes available in the restaurant were great too, which is very apparent just looking around at the amount people around were ordering. 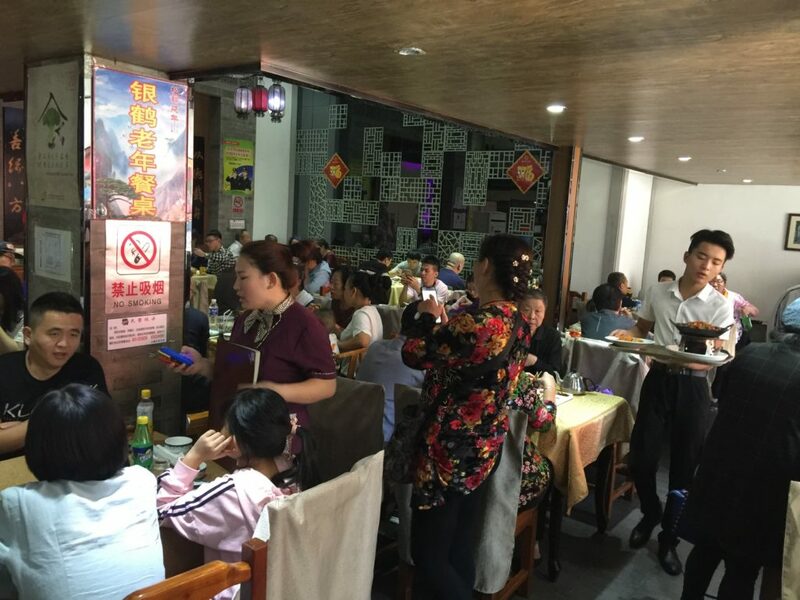 For sure, this is a great place to try Beijing’s speciality dish at a low price but I would recommend you go in a group.